Have you always wanted to be a traveling nurse? While the requirements vary by location, it’s easier than you think to work in the field. There are many reasons why travel nurses are hired by hospitals which include not having enough qualified nurses in a certain city, an increased seasonal population in areas like Florida or Arizona, a need for temporary workers when staff takes off, and difficulty keeping nurses based on the location of a city. Because of this shortage, to be able to provide quality care to their patients, hospitals are willing to hire qualified, skilled nurses to temporarily fill in the gaps. The benefits of being a travel nurse include the ability to choose where you want to work, what specialty you would prefer to work in, and how long your travel contract lasts. The salaries are excellent and travel nurses can receive full benefits and have the entire cost of their travel and housing paid for. The salary for an assignment given to a travel nurse is typically more than a staff nurse and because you’re traveling more than 50 miles away from your home, the majority of the money is tax-free. There are also opportunities to make additional money after you become a travel nurse. Travel nurse agencies will give nurses bonuses for extending their contracts at a certain hospital or provide other incentives for taking an assignment available in a facility that’s in urgent need. Even better, you can experience traveling in the U.S. to its fullest when you become a travel nurse. You’ll be able to experience new entertainment, food, and cultures and meet new friends when you spend 3 months in a new city. You’ll learn about different healthcare delivery systems as well as new professional experiences that will make you a more experienced, flexible, and independent nurse. The first step to becoming a travel nurse is to go to a nursing school and earn an RN (registered nurse) degree. Nursing is a competitive field and can take between 2 and 4 years to complete depending on your place of study and program. After you have obtained these credentials, you’ll need to pass the NCLEX-RN exam and work for one year in the hospital setting you choose to practice in. An Associate of Science in Nursing (ASN) is the minimum degree requirement. Depending on what kind of specialty you choose to work in NIH, PALS, or ACLS stroke scale along with other certifications may be required. You should have a certification on your resume pertaining to your specialty like the CCRN for critical care nurses to authenticate your aptitude as a nurse in your chosen field. Before starting your first assignment, many agencies will require a physical, TB test, and other immunizations. After all of these requirements have been completed, you’ll be able to interview for any travel nurse positions that are available. The easy part of this process is finding a job as a travel nurse. 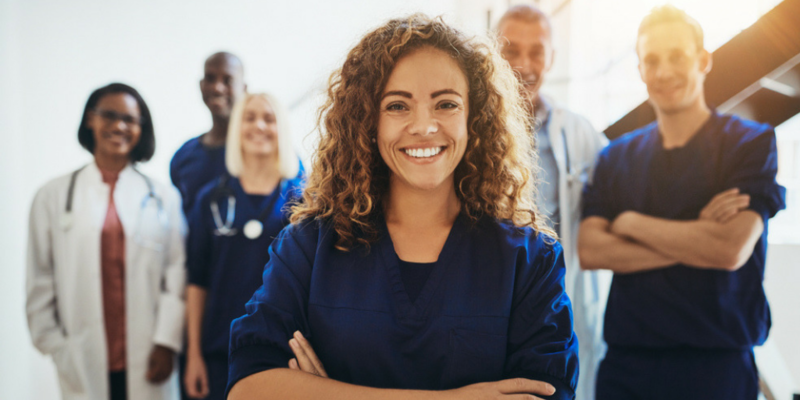 The good news is that demand for nurses is high which means all you have to do is find a staffing agency that will work with you to find multiple job opportunities at once so you can compare your options. Travel reimbursement, retirement, housing, healthcare, and access to staffing across the United States are other benefits travel nurse agencies offer. After you have selected the location in which you want to work, you can compare offers and interview at a variety of locations to decide on the position that will work best for you. The majority of travel nurse assignments last around 13 weeks, keeping your commitment to the company minimal. This way if you’re not happy with where you are working, you can look for something else that will better suit your needs. Once you’ve completed all of your paperwork and found an agency that you like, you will then choose an assignment. 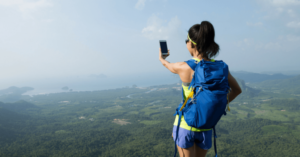 Most people already have a general idea of where they would like to travel. While there may not always be options in a specific city, you will almost always be able to find an assignment in the state you’d like to work in which is important when you’re looking for an assignment you’d like to do. You also need to have an RN license for each state you would like to work in. Talk with your recruiter about RN licenses that will allow you to work in multiple states without having to obtain a specific license. If you don’t already have a compact RN license, be sure you will have enough time to obtain a license in the state you want to work in before you begin your assignment. After you’ve chosen a place you’d like to work, you will be able to interview and compare offers in different locations to figure out the position that’s best for you. Interview processes for becoming a travel nurse are easier than they are for staff positions. The nurse manager from a staffing agency is the person who will typically interview you and while it doesn’t happen often, the manager of a unit will do this on occasion. For the most part, someone has already reviewed your skills checklist you completed at the agency and has determined whether you are qualified for the position or not. This is also a good opportunity to find out if you want the position, so you’ll want to write down specific questions you’d like to ask a nurse manager in order to decide if the job is right for you. Some questions include overtime opportunities, if you’ll need to be on-call, their cancellation policy, and how often they use travel nurses for their facility. The benefits travel nurses receive include retirement plans, insurance, competitive salaries, and housing at or near the facility they will be working. Some travel nursing companies even offer sign-on bonuses after your first assignment has been completed. If you are an RN who might be interested in working as a travel nurse, fill out the form below to begin working with a staffing agency who can assist you in finding the nursing job you’ve always wanted.